Sundrell Butler. Lambda Psi, Delta Sigma Theta Inc. The Community for Personal Development, Inc.
Meeting of the College of Fine Arts, Deans and Directors. 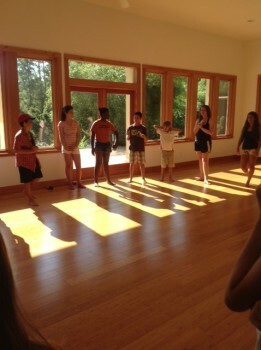 Mindfulness Based Stress Reduction Group, One day silent retreat. ONLY A FEW MORE DAYS TO REGISTER. Join us for this special event to delve deeper into the practices and principles of peacebuilding. During this day long training, you will receive direct coaching, mentoring and development in a wide range of skills that will impact your personal and professional life. Professors and students stayed in Casa Micanopy for a week. 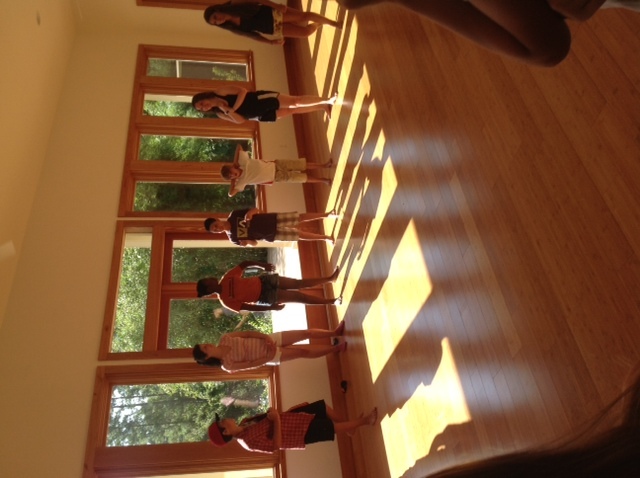 A performance camp with 15 students spent a week rehearsing and attending classes in movement and voice . The age range of students was between 9 and 13. 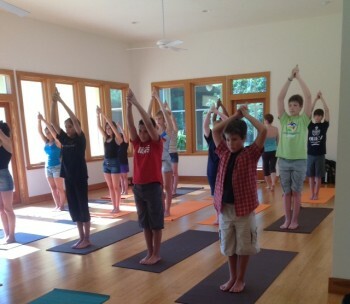 They had multiple activities including yoga,meditation, capoeira, dance, swimming and of course rehearsing and learning. The last day, they performed a Shakespearian play, read their own poetry, and acted short plays that they wrote and choreographed themselves. The presentation was outdoors on the grounds of Casa Micanopy. We were all amazed by how much they achieved in such a short time. It was an outstanding performance. This is a special retreat planned for women of all ages and sizes! Set aside this time to nurture your body, mind and spirit! Whether it is a gift to yourself, one that your husband, partner, child, mother, father or friend wants to give you, we all deserve a beautiful space for renewal, regeneration, reclaiming, rejoicing, reuniting and restoration! Together we will co-create a sacred and caring community to share our stories and explore issues that are important to us and will assist us to fully live the lives we have dreamed of…as we draw upon the wisdom of the elders, young ones and those in the middle …present in our circle. We will offer Inspirational Breathwork, a unique form of breathwork inspired by the dolphins who model conscious breathing, living in the moment, community, playfulness and a heightened capacity for communication. Lunch, Snacks and Drinks will be served. Sustainable peacebuilding requires a new way of thinking, relating and taking action in our community, our society, our world. We must find ways to shift our conversations and our strategies from reacting to problems to creating the outcomes we envision – a solutions-oriented approach. 1. Where do we put our focus? – Do we focus primarily on problems or on outcomes? 2. How do we relate to others, ourselves and our experience? – Do we relate in ways that produce or perpetuate drama or in ways that lead to resourcefulness and empowerment of others and ourselves? 3. What actions are we taking? – Are we merely reacting to the problems that we face or are we taking generative action in service to creating the peacebuilding outcomes we envision?